TEDx NUST challenging Norms – an Initiative by NUST students went amazingly well. We all know about TED talks and how they help people from all fields to improve to enhance their skills, to improve their learning, there are so many people in this society who are doing and we can look up to them for so many reasons. Let me tell you what is TED TALK- and what is all hype is about. A suite of short, carefully prepared talks, demonstrations and performances that are idea-focused, and cover a wide range of subjects to foster learning, inspiration and wonder – and provoke conversations that matter. 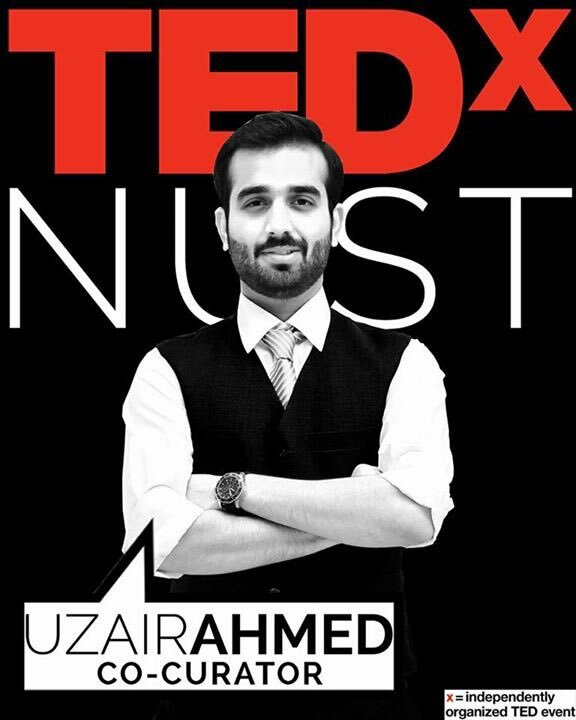 Like every year, this year NUST students took an initiative and they arranged TEDx with the theme of Challenging Norms, where various great speakers spoke to the audience about their motivational journey inspires audience and young students were enlighten. There were speakers from different fields. TEDxNUST17 is the second installment of TEDxNUST with the annual theme of Challenging Norms. amazing Speakers were Abiha Haider, Faiza Saleem, Dr. Masuma Anwar, Hurmat-ul-Ain, Taimur Rehman, Madeeha Raza, Arsalan Javed and Faran Kiani. Here is detail about speakers. Madeeha loves film. In many different ways. She’s a filmmaker, a film teacher and film curator, and director of Pakistan’s first Women International Film Festival. Madeeha is the founder & director of Women Through Film, an organisation that provides a platform for young girls and women to learn and practice film as art and as a tool for social messaging. She regularly holds workshops and strives to expand this community of female filmmakers. At the moment, she’s working to scale her work, and turn her project into a travelling film festival. Her work has been featured by BBC Urdu, BBC Asian Network, The Times & the Sunday Times UK, besides Dawn, Express Tribune and The News. She’s recently been announced as the recipient of the LifeEffects Star Award 2017 at Croydon, London. Dr. Masuma Anwar is a Pakistani pediatric doctor, singer-songwriter and musician. She rose to prominence with her cover singles of folk-songs such as “Ve Asaan Tenu Ki Akhna”, “Ve main chori chori” and “Neyu La leya”. After completing her bachelors of medicine and surgery from Frontier Medical College, she released her first album Dhola in 2008 and received critical appraisal. She completed her practice in 2011 and released three more albums by then that includes, Nigah-e-Karam, Apna Mukaam Paida Kar and Kamli, the latter add further acclaim in her career and she received Best Emerging Talent – Music at 15th Lux Style Awards. In 2012, she made her Bollywood debut in film Cocktail, and was praised for her song “Luttna”. In 2016, she recorded her first song “Naina Roye”, for Pakistani film Maalik, that was heavily praised. In a same year she made her Coke Studio debut as a featured artist in season 9. Mr. Kiani is a lawyer by profession and a novelist by passion. He’s also known as the creator of a unique genre of writing known as “sing along fantasy adventure” or as he likes to call it a POVEL (merger of poem and novel, in which 40% of the dialogues are in poem/rhyme pattern). It is like a book adaptaion of a Hollywood musical movie. His first novel “kiva – the hidden kingdom” was published in 2013, and his second book namely “Five Wishes And The Prophecy of The Prince” in 2017. He was inspired by this idea after watching a Hollywood musical movie “Sweeny Todd And The Demon Barber of The Fleet Street” starring Johnny Depp and Helena Bonham Carter, and decided to write a novel that depicts that same ‘sing along musical’ theme in a book by modernizing and exaggerating the Shakespearian style used in Macbeth. His book is earning immense amount of national and international response including some hefty reviews from Hollywood. This book is also under consideration for an animation movie by various national and international animation companies. Taking account of his second publication, currently he’s doing a nation-wide launch of his book in different schools, colleges and universities all over Pakistan to promote book reading, literature and ‘out of the box’ creativity in our youth. His prime aim is to liberate the youth from their fears of creativity and so he combines his book launch with a motivational session in which he shares his journey with the audience which led this boy from a small town of Rawalpindi to do something of this sort. If he can do it, anyone can. Taimur Rehman is a man of many things. Professionally, he’s heading an IT company called webmekanics, working as a Consultant with UNICEF and a Student Mentor with Middlesex University, Dubai. He’s also the founder of a web service for photographers in Pakistan, called Piqture. Sheer passion makes him an Urdu narrator and he has performed at prestigious stages around the globe – be it South Asian Literature.. Introducing TEDxNUST17’s Team Lead, Anas Jahangir! Introducing our first speaker and lawyer turned comedian Faiza Saleem. Co- Curator’s message for us!